"All the best music happens underground," I told Faith Harding, who performs as Novelty Daughter, and she readily agreed. We were indeed below ground, at Elvis Guesthouse in the basement of 85 Avenue A, but both meanings of the word were implied and understood. We were there to celebrate the release of her debut LP, Semigoddess, which crystalizes the sound she has been pursuing since 2013. Marrying her smoky but light soprano to next-level electronics, that sound is intoxicating indeed. While she is a lover of house and other electronic dance music, she is not a slave to the rhythm. She deploys beats as just another element along with complex counterpoint, dissonance, jazz-inflected chords, and a dazzling variety of textures. But when she brings that hammer down, as on Day Of Inner Fervor, it's a shot of pure pleasure that commands you to move. Remixers should have fun with that one. Another instant-impact track is Shellbody, with a chill-inducing intro of watery chords and diamond-bright notes leading into a contemplative rhythm and some of Harding's most most sublime singing. Novelty Daughter has lyrical game, too, exploring the betwixt and between sensation of being young enough to feel life's endless possibilities but mature enough to feel the pull of its also endless responsibilities. The opening track Not Fair, she recently told The Fader, "is about my confusing relationship with myself. As the title suggests, it's kind of a small tantrum against the notion that this relationship should be secure and fixed, that you are supposed to know know exactly who you are at any given time, when that 'who' is shifting and morphing continuously." These are complex notions and the music on Semigoddess is not simple, either. There is often tension between the vocal melodies and the music. Rather than going together hand in glove, it feels like the glove is levitating over the hand, which could make for challenging listening for some people. But if you listen actively, you'll find it making more and more sense, and the combination of voice and music just may bewitch you. To fully invite the spell, I suggest vinyl, if you do that - I found it both opened up the sound and gave it more weight. Another word about Harding's voice: it's one of the realest things in music today. Watching her sing along to her recorded self with zero hesitation and perfect pitch is akin to a high wire act. The live experience since I last saw her has also been enhanced with an extra player, allowing for more intricacy and flexibility. Double the laptops and keys, double the fun. Three songs on Semigoddess also feature cellist Greg Heffernan, an organic element that fits in perfectly. Novelty Daughter, now a duo, performing at Elvis Guesthouse. The show at Elvis Guesthouse also featured Suzi Analogue, Star Eyes and DJ Earl. I was only able to stay for the first but very glad I did. Her electronics always had an eye on keeping the crowd moving while also being bright and busy enough to be almost be Baroque. Patterns would develop, meet new patterns and then there would be a pattern of patterns, making for a kaleidoscopic effect. In brief, she knows what she's doing, sings nice, and may just love 68 Million Shades as much as I still do. Getting back to Semigoddess, I'm just going to say that it is highly unlikely that there will be a more original debut album - or better electronic music, for that matter - in 2016. Novelty Daughter is coming up from underground - will you be there to greet her? I think everyone's parents have at least one special thing that they do, a magic trick, a funny voice, etc. Like my mom. She could make her fingers dance and do an impeccable "You must pay the rent" routine, but maybe best of all was when she let her hands fly up and down the keyboard to play The Rustle Of Spring. I could never get enough of this over the top piece of piano fluff, which I later learned was by the Norwegian composer Christian Sinding. 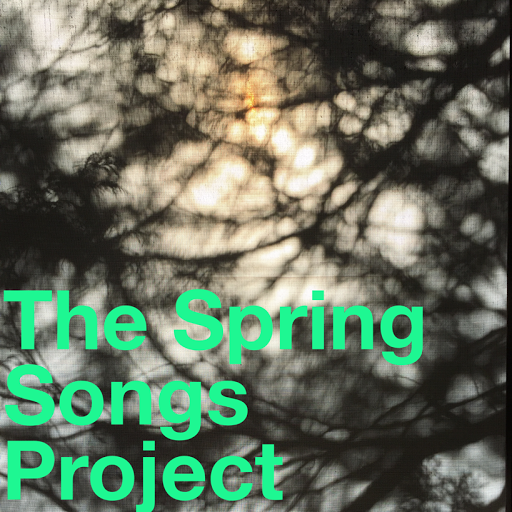 In honor of that experience, and of the first day of spring, I am launching The Spring Songs Project. Consisting of a collaborative playlist and a Facebook event, this project will give anyone who joins an opportunity to share a favorite spring song or two by adding it to the list or posting it on the Facebook page. The playlist will be open until April 2nd and at that time we should have an impressive and wide-ranging collection of songs celebrating this most verdant of seasons. I seeded the playlist with a few songs that feel like spring to me - and it's already tripled in size. Come be a part of it! One clueless critic called this an oil painting. Sigh. Imagine you're drowning in a vast ocean. Nothing around - no boats, no land, no hope. Then, out of the corner of your eye, you spot a pool floatie, say a cute pink hippo. It's your only chance at survival but would you have too much (snort) dignity to grab on? After all, there's nothing like disaster to bring ourselves face to face with ourselves. And when confronted with myself, I met someone who hesitated - for the merest moment - to grab onto that blow-up toy. Unbelievable, right? 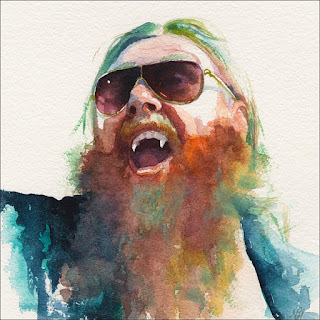 I'm talking about the moment about halfway through my first listen to Songs In The Key Of Animals by Benji Hughes. That's when Sugartree started playing, with its absurdly exuberant "Boom boom boom boom shaka laka" chorus. No, I thought, that's really too much. Not having it. Of course that was after Shark Attack!!!!!!!!!! !, with its screaming females, and the ridiculous declarations of Girls Love Shoes ("We hold these truths to be self-evident: not all shoes are created equal."). I had also been told that life was like a peacock party. I almost turned the thing off. Who the hell was Benji Hughes anyway? But I kept listening, and I kept coming back day after day until I found my grip on Benji's pink hippo tightening. What first seemed a simplistic and silly exercise began to move into the realm of the deceptively simple and the sheerly joyous. Such is his skill with an instant-impact melody that I wasn't entirely surprised to learn that Hughes has kept the lights on by writing jingles for clients like Verizon, GE and Captain Morgan. But I was surprised to find that he had been in a band called Muscadine with none other than Jonathan Wilson back in the late 90's. So he's got some deep roots, including those planted on A Love Extreme, his sprawling and somewhat unformed debut from 2008. Animals was recorded over two years with a cast of usual suspects from records by Father John Misty and Wilson, along with several artists who have solid careers on their own, like Meshell Ndegeocello, Eleni Mandell and King Khan. This gives the album a party atmosphere and a sense of collective effort, with Benji's baritone rasp often shadowed by two or three female vocalists. Sometimes he even magnanimously lets them take the lead, but the disco-glam-Nilsson-melancholy point of view is all his. While the album often uses irrational exuberance to chase back the dark, Hughes is unafraid of delving right into the wistful mystic, never more so than on the instrumental Song For Nancy. Other critics have complained that there is nothing to it, but I say it's the perfect soundtrack for when you just can't take another thing happening in your life. And for those who would complain that Hughes is too repetitive, I would point them to Marc Bolan who answered similar gripes by saying, "Repetition comes into my songs a lot because I think my lyrics are so obscure that they need to be hammered home." In the end, I envy those writers who have put this album down. After all, you wouldn't grab that pink hippo unless you really needed it, so I guess everything's going alright in their lives. Lucky them. I could go on about the grooves and the textures or pontificate about lyrics like these, from ? Take You Home, the perfect closing-time closing track: "When it's wintertime, and you wish it was still fall/When you wanna leave, and there ain't no leaves at all/You wanna get lost in the woods but there ain't no trees that tall..." but I think I'll just leave it here. If you're drowning, trust me, you'll need this pink hippo. Benji Hughes will be at Rough Trade on March 16th (and so will I) and hopefully at another location near you. In the meantime, in addition to digging the album, give a listen to Songs In The Key Of Hughes, a playlist of music by fellow travelers alongside songs that popped into my head while listening to his record.